The best part about getting home for any dog owner is to see the excited wagging butts and tails waiting at the door to greet you with doggy kisses. Whether you leave for an 8-hour work day or walk to get the mail, their greeting is always a warm welcome back. 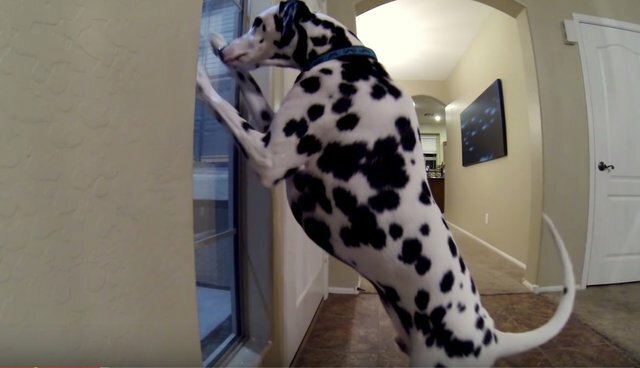 Watch Ollie the dalmatian give his mom a super excited welcome home! He goes a step beyond by clawing crazily at the window in excitement. How could you not love coming home to this?